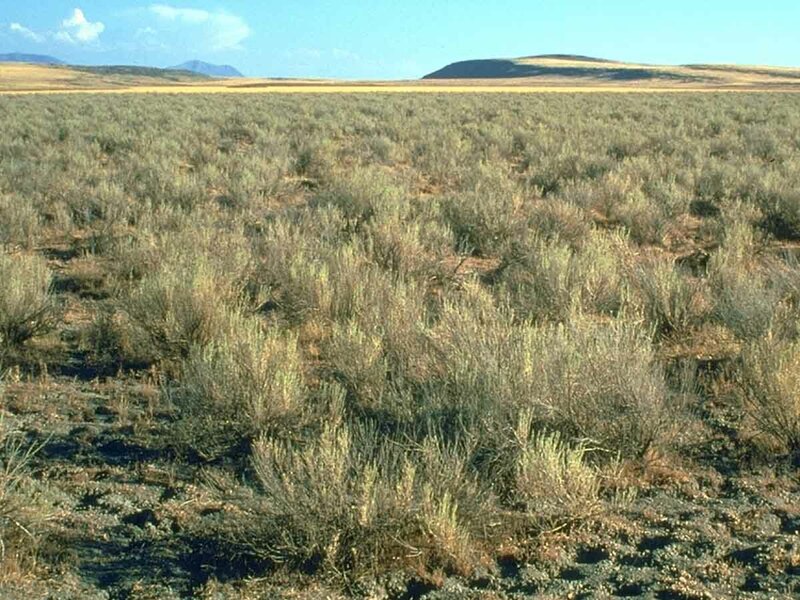 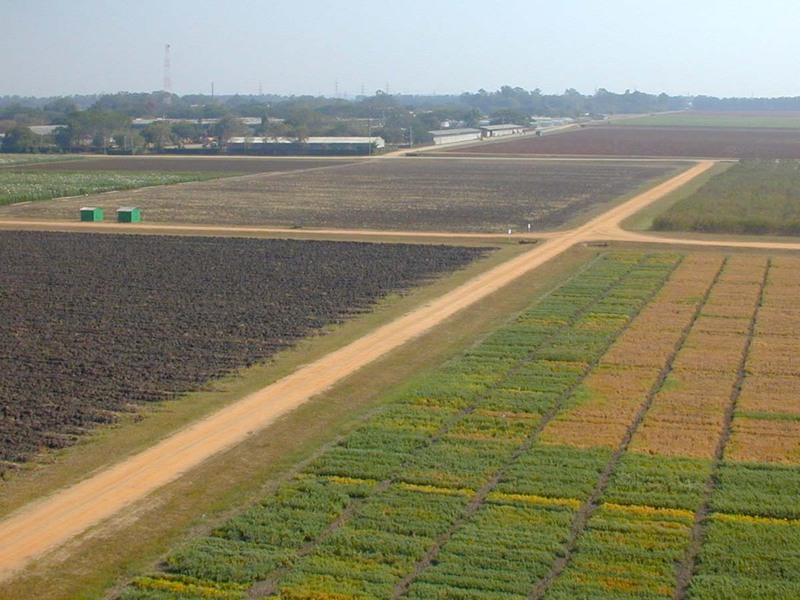 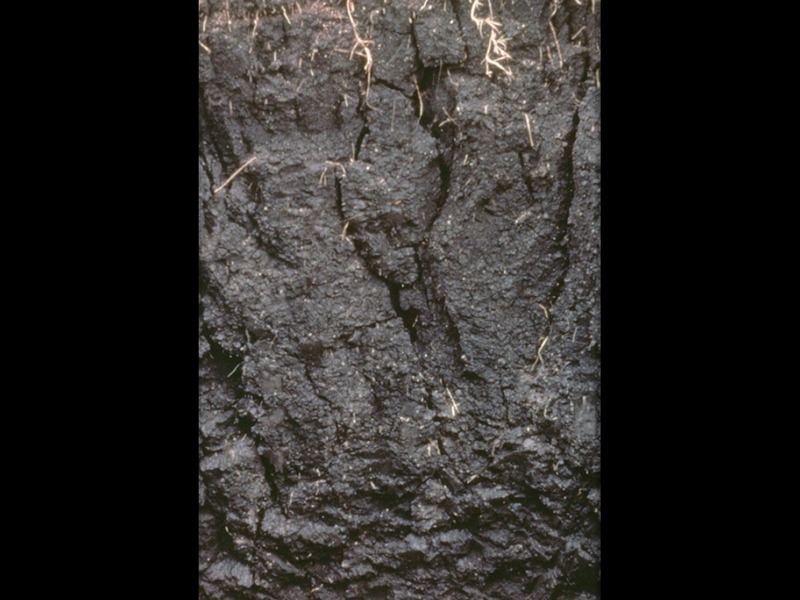 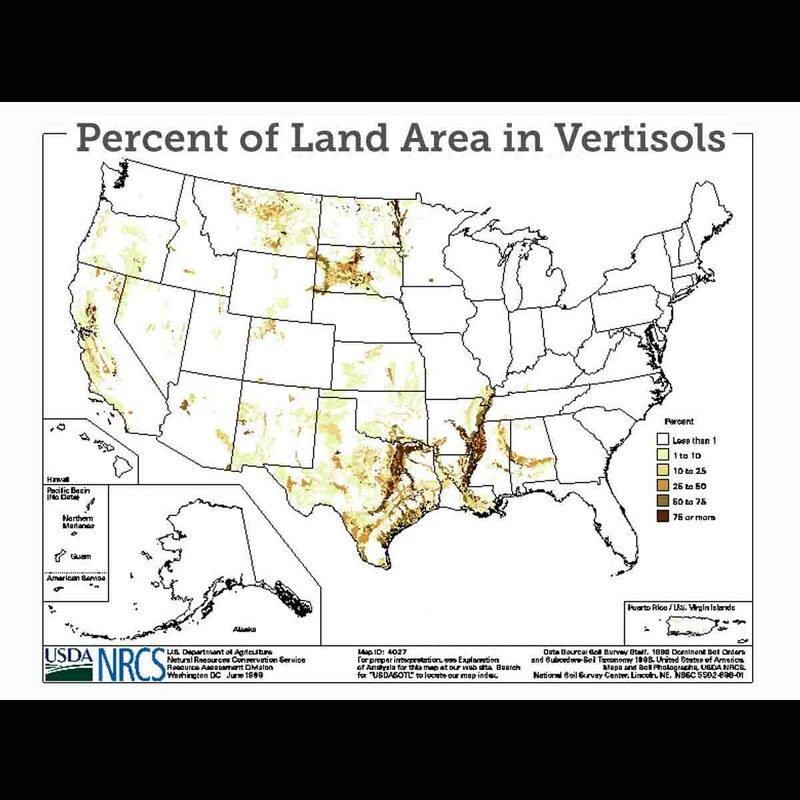 Vertisols (from Latin verto, "turn") are clay-rich soils that shrink and swell with changes in moisture content. 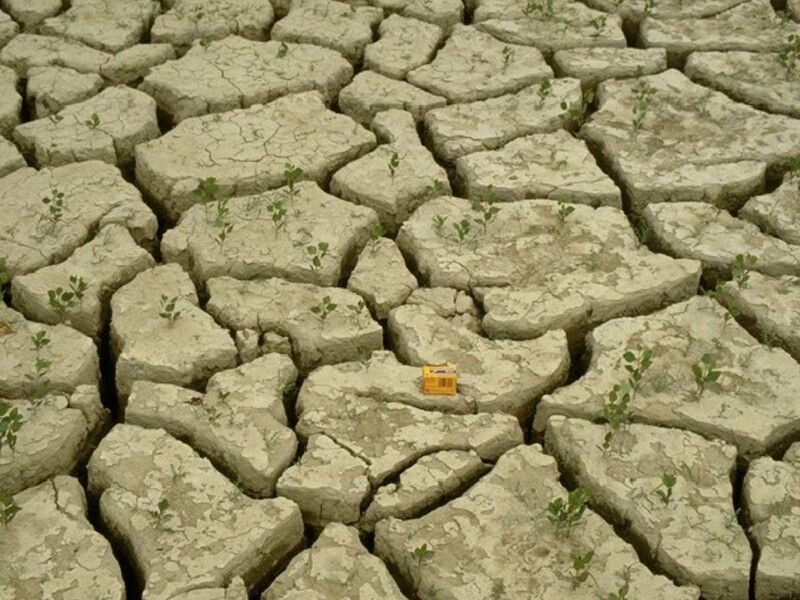 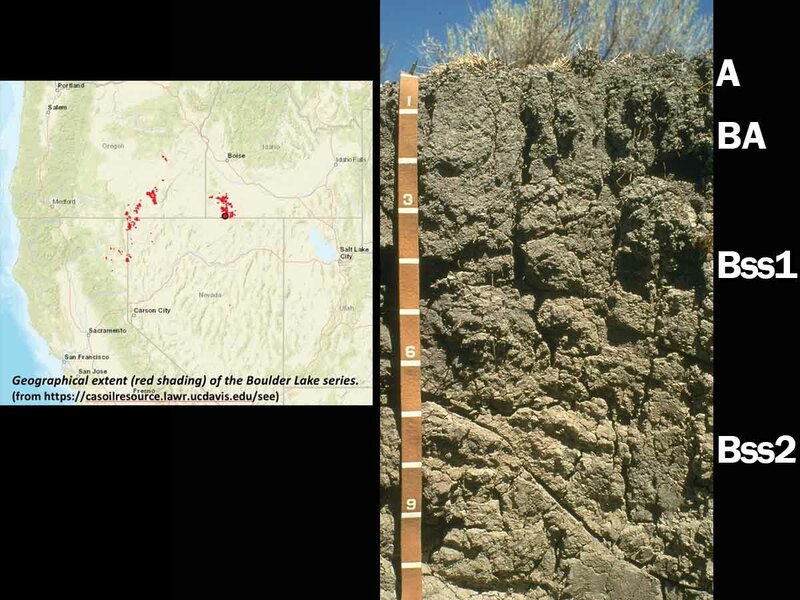 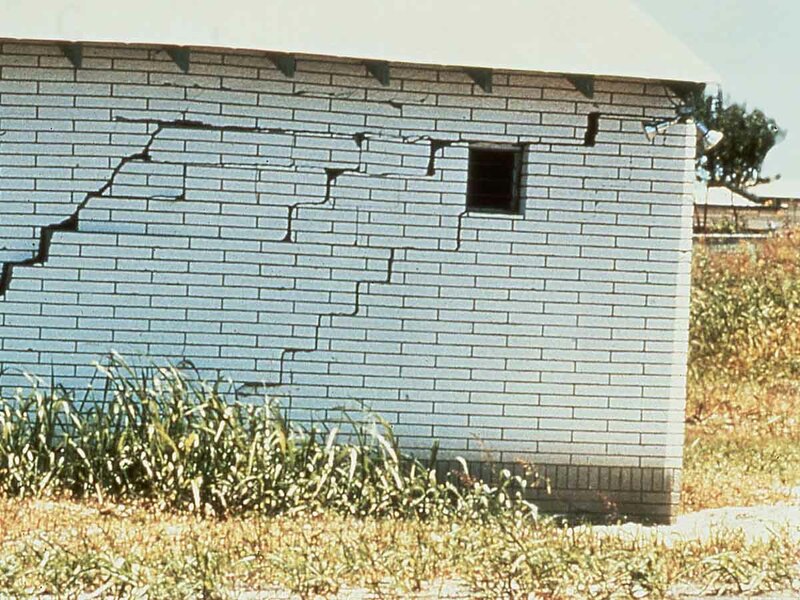 During dry periods, the soil volume shrinks and deep wide cracks form. 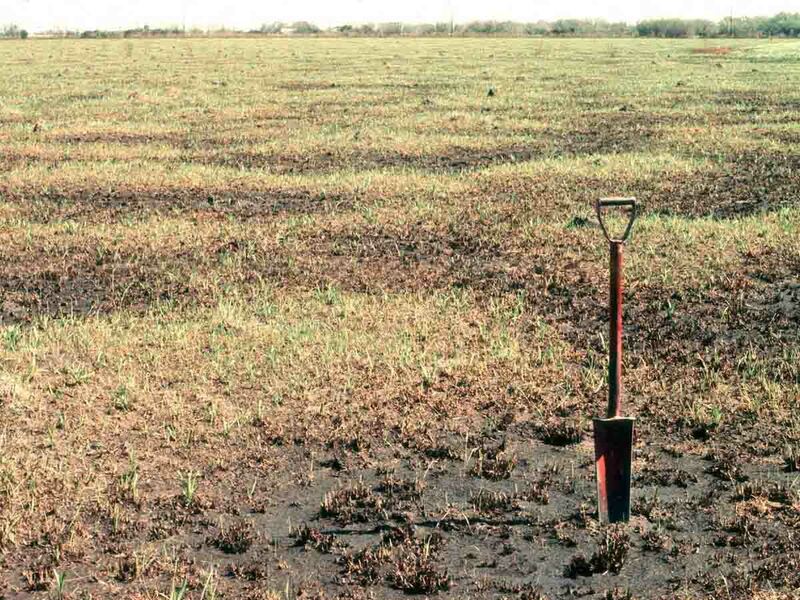 The soil volume then expands as it wets up. 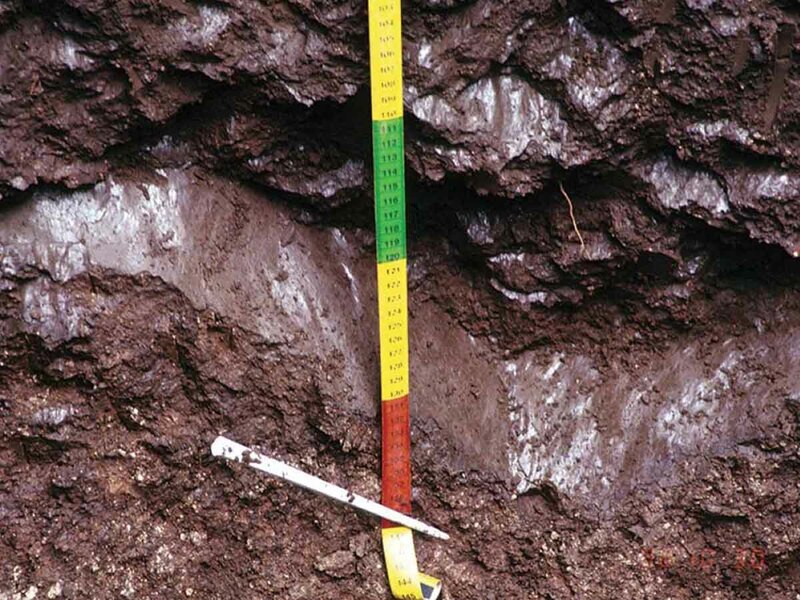 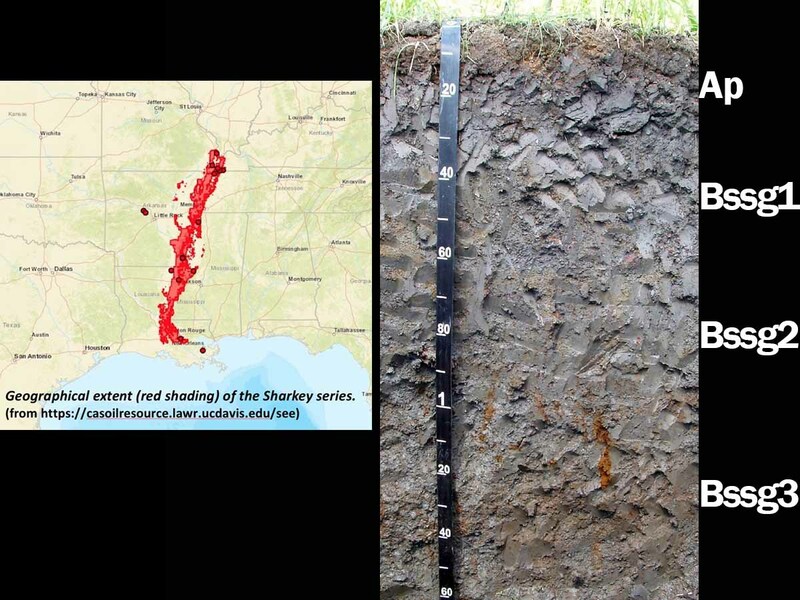 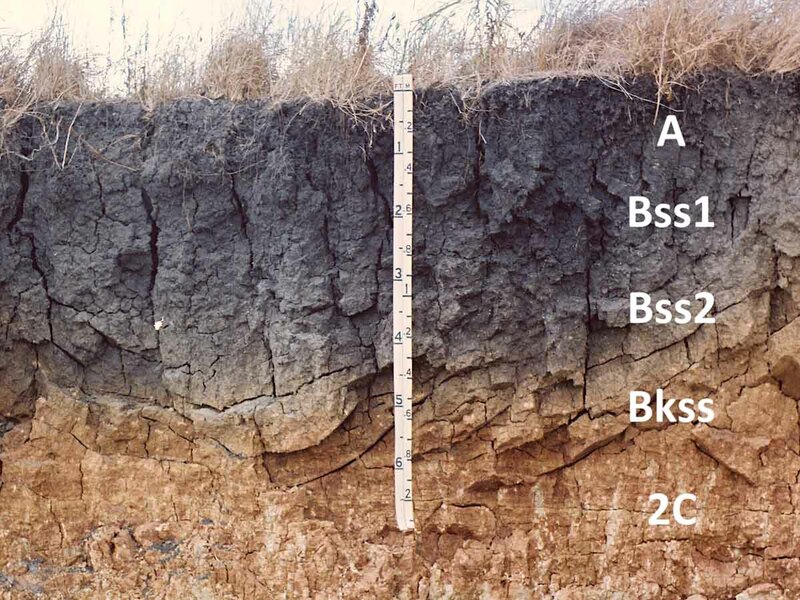 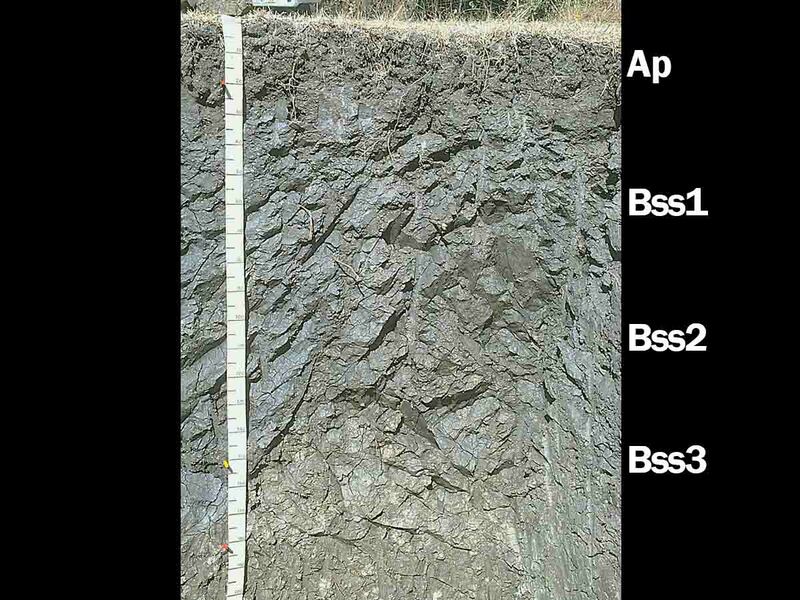 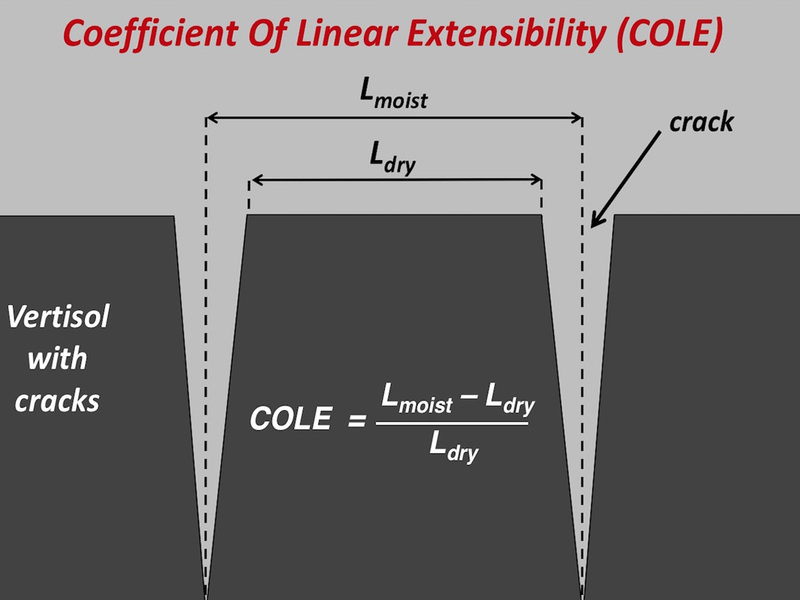 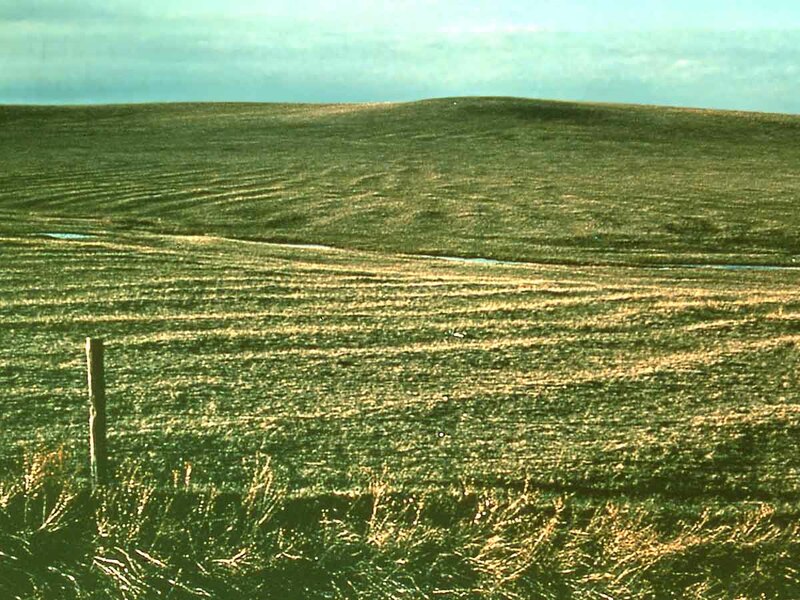 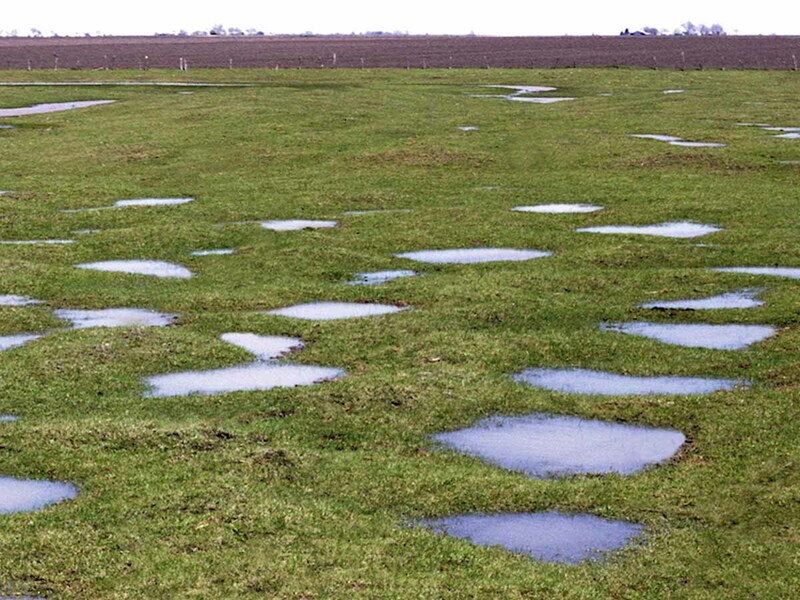 This shrink/swell action creates serious engineering problems and generally prevents formation of distinct, well-developed horizons in these soils. 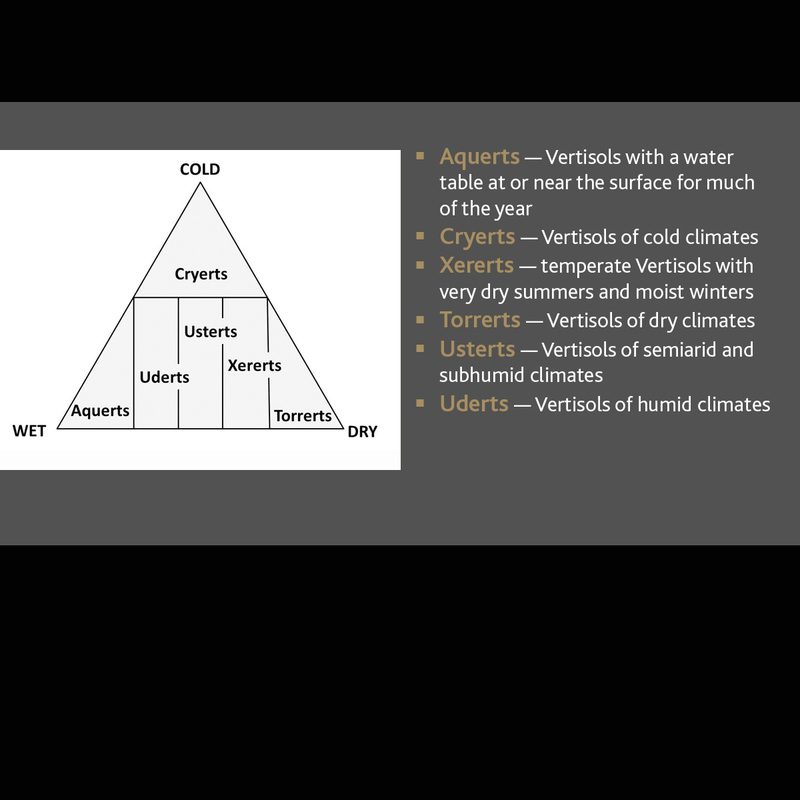 They are divided into six suborders: Aquerts, Cryerts, Xererts, Torrerts, Usterts and Uderts. 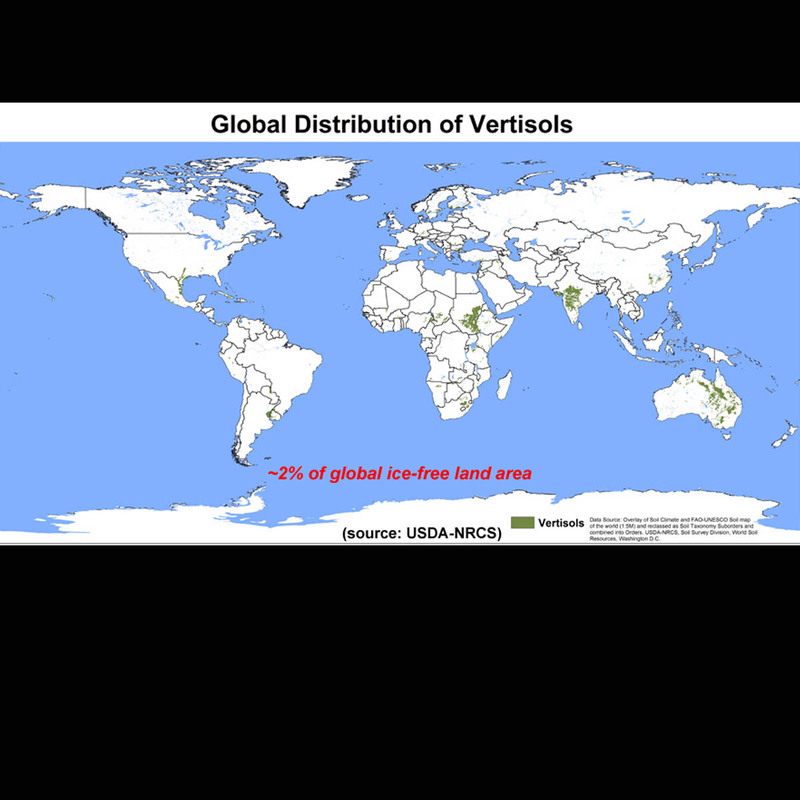 Globally, Vertisols occupy approximately 2.4 percent of the ice-free land area. 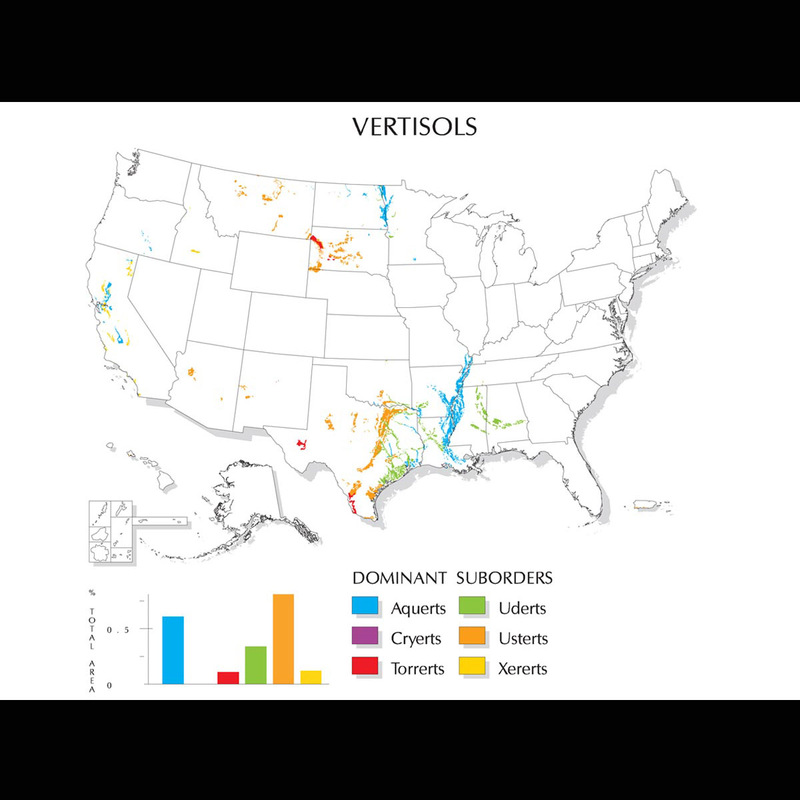 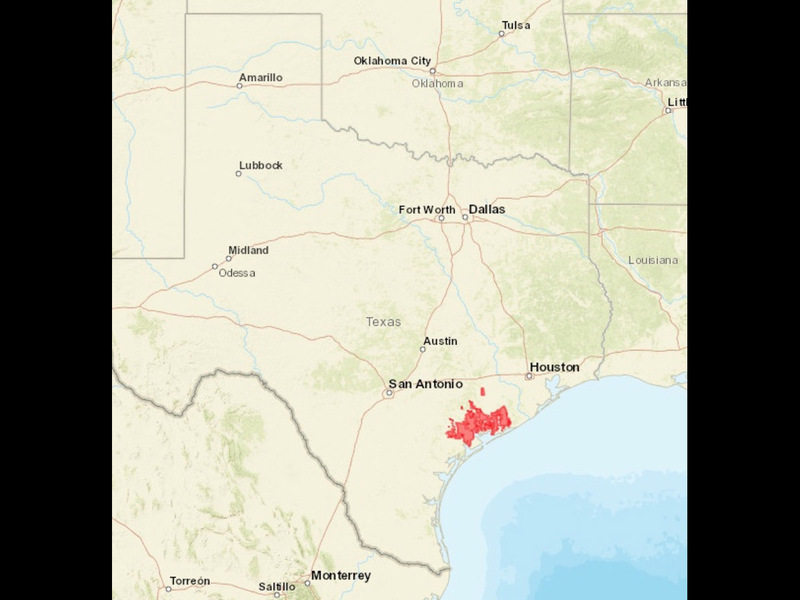 In the U.S., they occupy approximately 2 percent of the land area and occur primarily in Texas.